PRESS STATEMENT: The new contract covers both Men's and Women's EHF EUROs in 2014 and 2016 for all Spanish speaking countries of Latin America. Infront Sports & Media, media and marketing partner of the European Handball Federation for the EHF European Championships, has reached a media rights agreement with Televisa Networks, a subsidiary of Grupo Televisa. The contract covers the Men’s and Women’s EHF EUROs 2014 and 2016 in all Spanish-speaking Latin American countries, including Argentina, Bolivia, Chile, Colombia, Ecuador, Paraguay, Peru, Uruguay, Venezuela, Costa Rica, El Salvador, Guatemala, Honduras, Nicaragua, Panama and Mexico on an exclusive basis, as well as Aruba, Barbados, Curacao, Guyana, Suriname and Trinidad and Tobago on a non-exclusive basis. Live and delayed match coverage, repeats and highlights on all TDN platforms are included in the agreement – as well as sublicensing rights. As part of the agreement, a minimum of ten matches will be transmitted from each championship including three preliminary round games, three main rounds, the both semi-finals and final match. The Men’s and Women’s EHF EURO 2014 are scheduled to take place in Denmark from 12-26 January and in Hungary/Croatia from 7-21 December 2014 respectively. In 2016 the men’s event will take place in Poland from 17-31 January with the women’s scheduled from 4-18 December in Sweden. Televisa Networks is a subsidiary of Grupo Televisa that specializes in the design, production, programming and distribution of over 17 channel brands and more than 45 feeds in the Pay Television market. Its coverage spans the globe, reaching Mexico, US, Latin America, Canada, Europe, Africa and Asia Pacific. Televisa Deportes Network is a multimedia platform that airs sport 24 hours a day, 364 days a year. 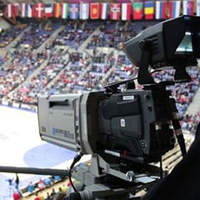 A large percentage of the content aired is exclusive and it features all the major international sporting events, all of them hosted by the most specialized team of announcer, narrators, journalists and correspondents. The channel has coverage in Mexico, Central America and Caribbean.